Imagine if we could get into the minds of consumers. Imagine that we knew why consumers were choosing to shop at one retailer over another. Imagine that we knew what were the driving elements of an in-store experience with your brand that would increase the likelihood that your customers will leave wanting to come back and shop with you again. Imagine that we knew how we could make them so satisfied when they left your store that they would shout it from the rooftops. Now imagine you create this experience with each and every consumer that comes into contact with your brand. Imagine how powerful that could be. We’re talking about Net Promoter Score® (NPS). In this issue of Realise Quarterly News we touch on the ingredients that make for a solid NPS program and how this can be integral to understanding how to turn your next customer into your brand ambassador. How likely is it that you're being recommended? Asking 'the ultimate question' allows companies to track promoters and detractors, producing a clear measure of an organisation’s performance through its customers' eyes. Net Promoter Score® has been used to flag 'at-risk' customers. Many brands have implemented processes to respond to customers who have a negative NPS Score on the 0 to 10 scale. 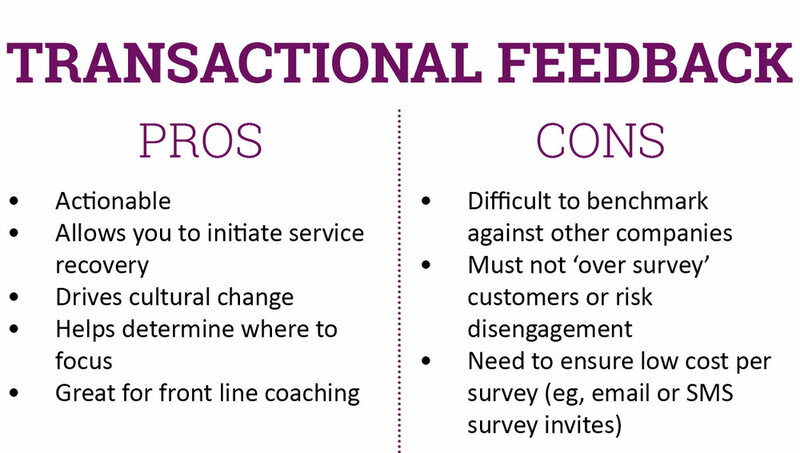 When starting a Net Promoter® or customer feedback process every organisation has the opportunity to perform the survey process in one of two ways: Transactional and Relationship. Each approach offers its own pros and cons but deciding which one is best for your organisation can be difficult. In the following we take you through what they are and how they are used, what they mean for your Net Promoter Score, and why we believe the mixed method approach is the best. Relationship customer feedback surveys occur at regular intervals in the customer relationship and ask about the customer’s overall satisfaction with the company in question. Relationship surveys, in most cases, should be how you begin. They are the primary way to measure your Net Promoter score and determine which segments within your customer experience need improving. In contrast, Transactional customer feedback is generated when you survey the customer after each interaction or transaction with your organisation. Typically this will be at one or more of your customer touch points and can include: order entry, product delivery, website interaction, account payment, sales contact, and visit by a service technician. Normally in this approach you will directly reference the transaction in the survey question. Transactional surveys, in most cases, are conducted after you have a functioning NPS relationship survey. This is because the results of a relationship survey should help determine the touchpoints that need to be surveyed transactionally. "Which touchpoints do customers choose the most as the reason for their score, in the relationship survey?" This question should guide your transactional survey process. Transactional surveys allow companies to investigate further how particular touchpoints affect a customer’s relationship with a company and make service improvements. So what’s right for me? NPS is about more than just measuring your company health (although that is a great start), it’s about knowing what affects your health. Whether to use a relationship or transactional survey and what is right for your Net Promoter program depends on your industry and what you want to achieve. When to use them and NPS needs to start with a relationship survey, as you first need to understand your customer loyalty and pinpoint what is affecting it. Next, investigate those drivers of loyalty identified in a relationship survey by conducting specific transactional surveys. Are you a retailer with regional store locations that are on the ‘too hard’ list? With more and more people travelling to regional and rural locations, it is so important to ensure your CX offering is seamless across your entire network. As one of the most well established mystery shopping companies in Australia and New Zealand, we have hundreds of very active shoppers working for us each and every day. We are not limited to operating in metro regions. In fact, we’re proud to be offering regular mystery shopping work to shoppers in all corners of Australia and New Zealand. Get in touch to see how we can ensure your entire network is delivering on your brand promise. 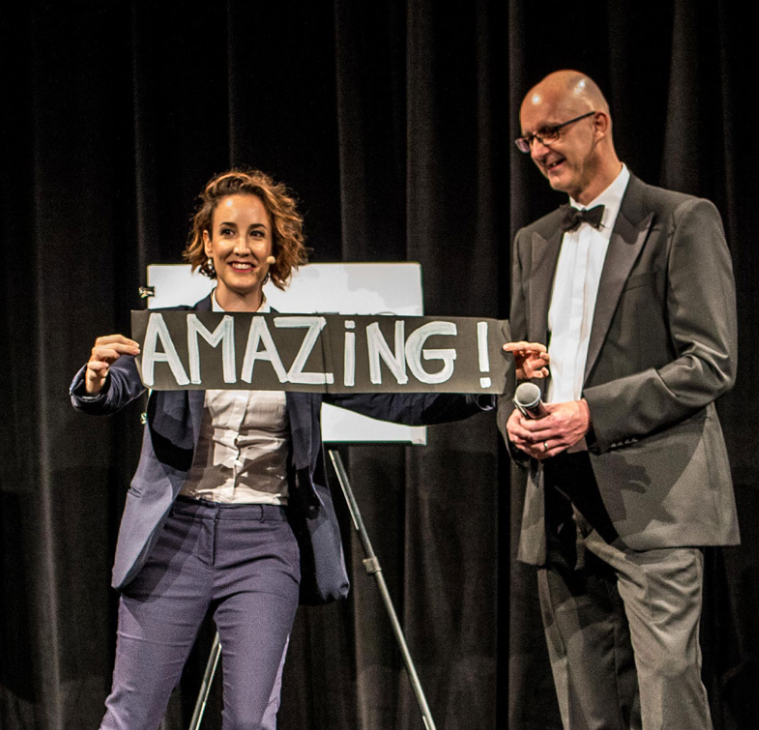 The 2018 Inside Retail Awards was yet another display of the outstanding businesses we have here in Australia. The Realise Group was the Research Partner for the awards, with our Field Agent video tool used to capture feedback from real shoppers following an interaction with the finalists. Inside Retail editor and awards judge Jo-Anne Hui Miller said that she felt the standard of entries was higher this year. “Retailers are striving to create better online experiences for customers, especially in terms of returns and speed of delivery,” she said. LUSH Cosmetics took out the Customer Experience Innovation Award. Other winners included Patagonia Australia, Prezzee Digital Cards, Winning Group as well as Super Retail Group brands Rebel and Supercheap Auto. Congratulations to all finalists and winners. How can retailers be sure they are giving customers a reason to shop with them again? Recent results indicate that most major bricks-and-mortar retailers in Australia have a lower than the average Net Promoter Score (NPS) for their category. While results like this should be considered in context, there is still a key message to take from this: Australian shoppers are not, for the most part, singing from the rooftops about their shopping experiences.